The MeoRed, with its compact and durable design makes an ideal sight for AR platforms, shotguns and handguns. 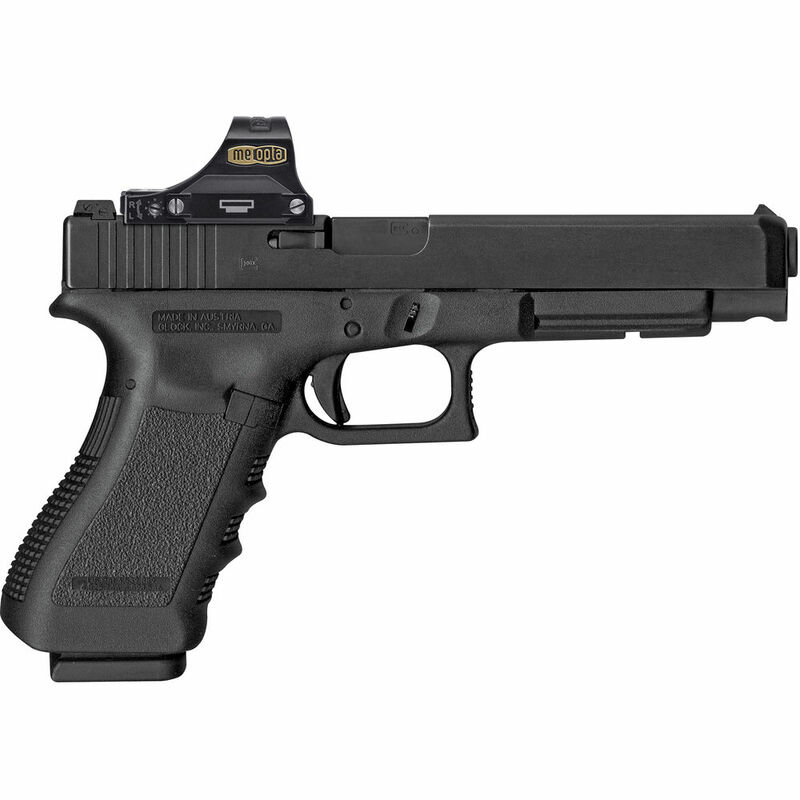 The illumination is activated by pushing the control button located on the front of the sight and turns off automatically after 3 hours. The MeoRed is available with either a 3 MOA or 5 MOA red dot. 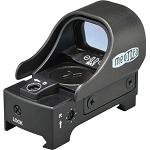 Powered by a single CR 2032 battery for up to 1000 hours of operating time, the MeoRed also features a battery compartment on the right side of the sight that slides out for easy access. The unit also has a low battery indicator dot that signals when the battery is running low. 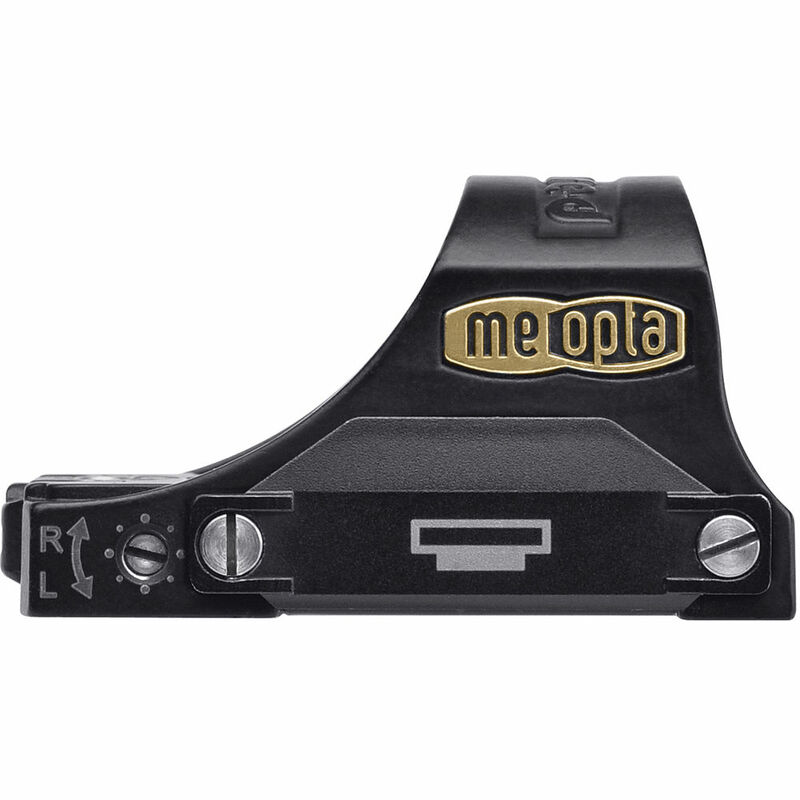 Meopta engineers designed the MeoRed to significantly increase shooter accuracy and speed in a variety of situations such as 3-gun competition, close range hunting, personal defense and L/E applications, and its miniature profile also makes it ideal for mounting to a primary riflescope for situations that require rapid change from distant to close quarter shots. 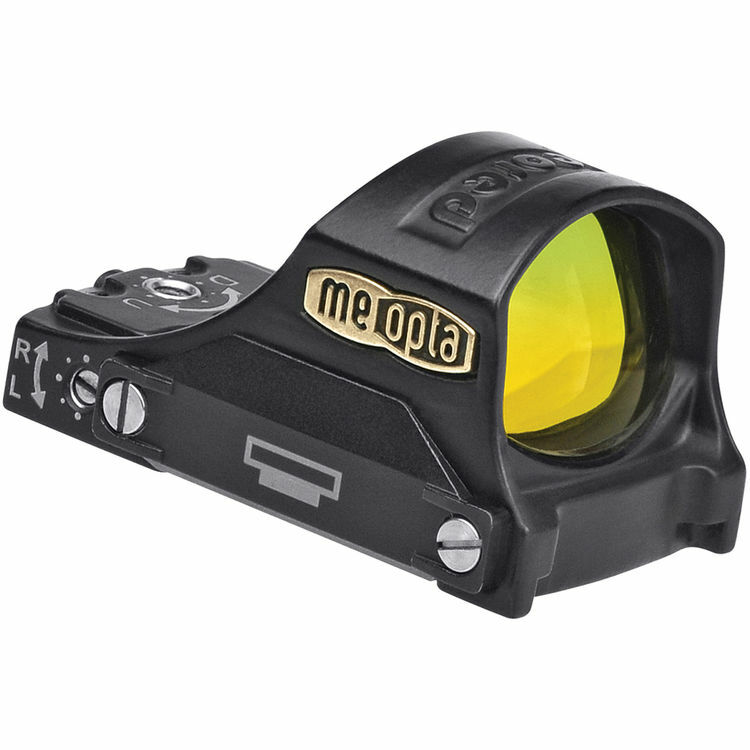 Lens: A well-protected glass lens provides a virtually parallax-free sight picture for eyes-wide-open target acquisition. Coatings: Proprietary ion assisted lens coatings. MeoBright coating delivers incredibly bright and sharp images across the field of view. MeoShield coating protects lens surface from abrasions and scratches.